What leadership qualities enabled Jones to succeed as a self-taught naval officer, and are those qualities relevant in today’s world? What influence did Jones have on the American principle of civilian control of the military? What principles of maritime strategy were pursed by Jones and the Continental Navy, and what relevance do they have to the War against Muslim terrorism? What lessons about military leadership as a national resource were demonstrated by Jones’s career? What was the influence of Jones’s private life on his career? 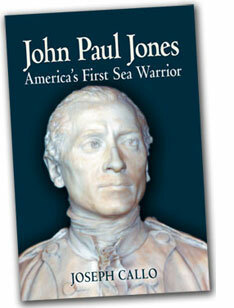 Could John Paul Jones have succeeded in today’s U.S. Navy? What is the difference between the asymmetrical warfare of Jones and the Continental Navy and 21st century terrorists? What did Jones’s career tell us about the alliance between France and America during the War of Independence?